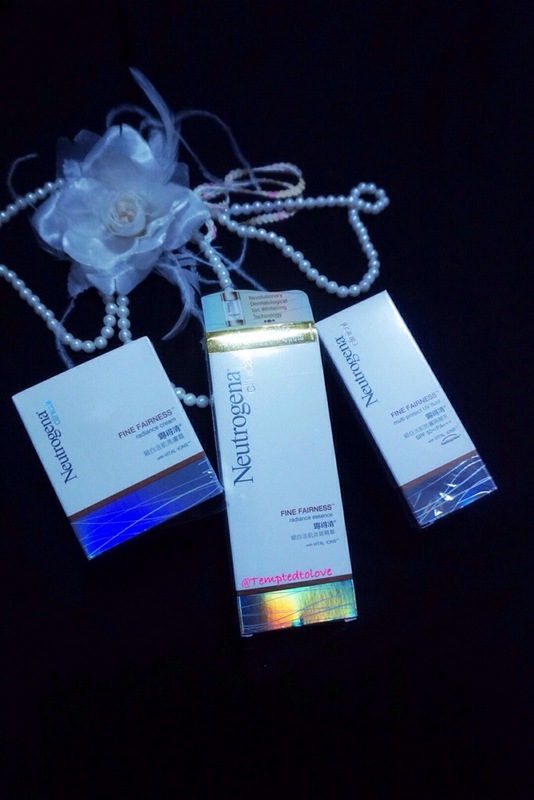 Neutrogena Clinical Solution: Bye Bye Spots!! Hi Guys! It’s me again.. After “resting” for so long, I’m back with a very good post! No long opening post! Gonna be straight to the point because I can’t wait to share these product with you anymore!! 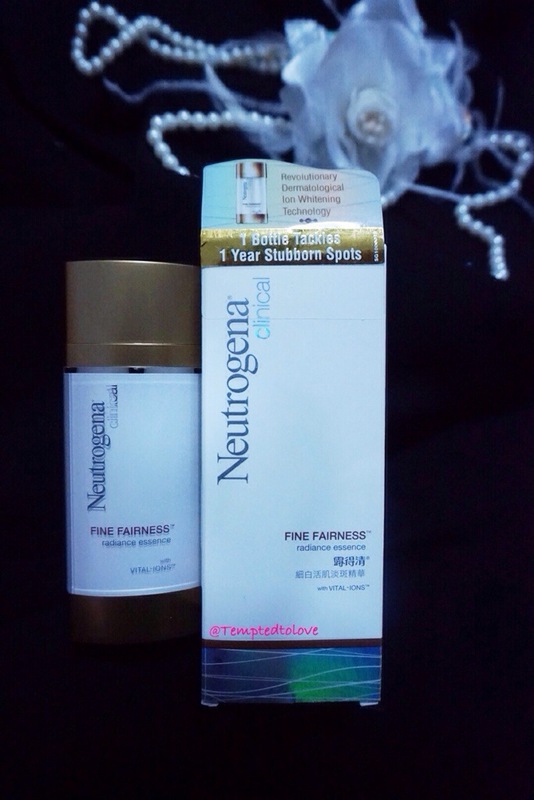 Neutrogena introduces new Clinical Solutions to its Fine Fairness range! 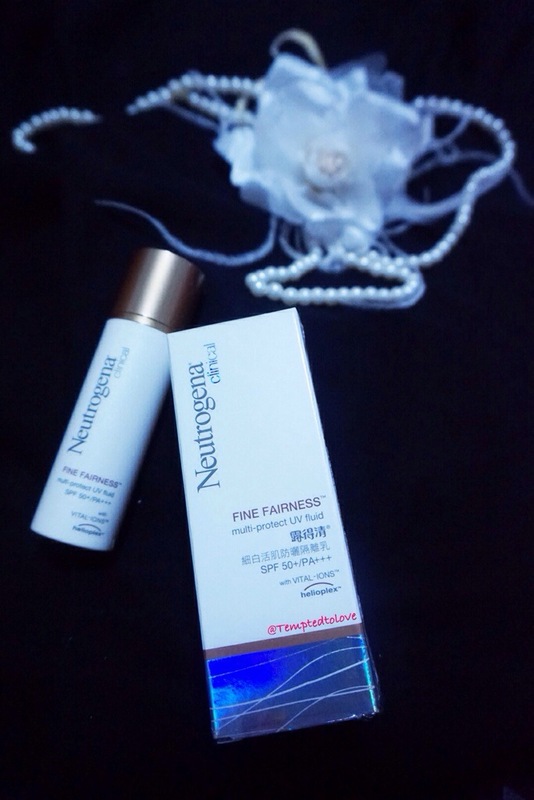 Neutrogena takes skin brightening to a new height with the launch of the Neutrogena Clinical Fine Fairness skincare line, formulated to provide higher efficiency in combating stubborn dark, for healthy and radiant skin. The new line of clinical solutions features a unique combination of VITAL-IONS and Lily Nectar that work together synergistically to lighten dark spots and revitalize skin from deep within, for renewed radiance and skin tone evenness. 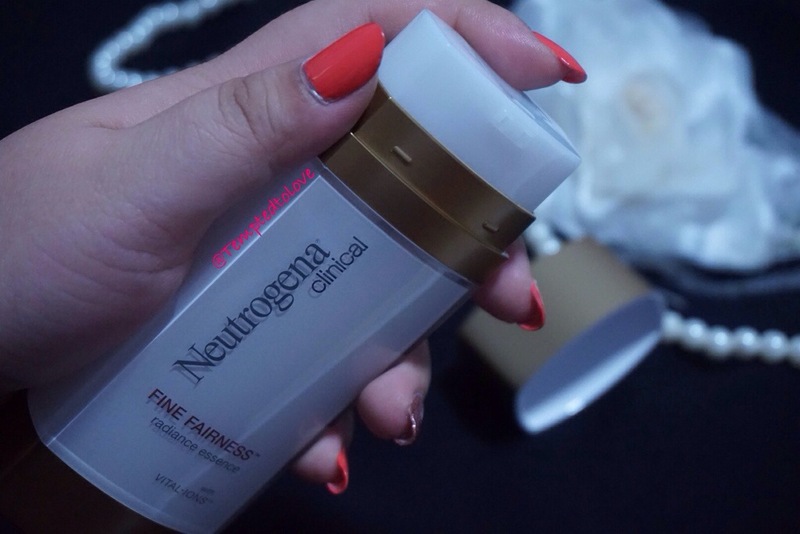 Neutrogena’s latest innovative VITAL-IONS technology contains zinc and copper minerals that help boost energy supply to the skin cells as a catalyst to revitalize the skin’s cellular renewal process to quickly disperse the accumulated melanin. Lily Nectar, which comprises of White Lily extracts and stabilizes Vitamin C, inhibits melanin formation by blocking the skin’s ‘melanin production’ signals, which are normally activated when the skin is over-exposed to the sun’s UV rays. Ageing gracefully is something we all want. But as we grow older, our skin’s cellular turnover becomes sluggish. 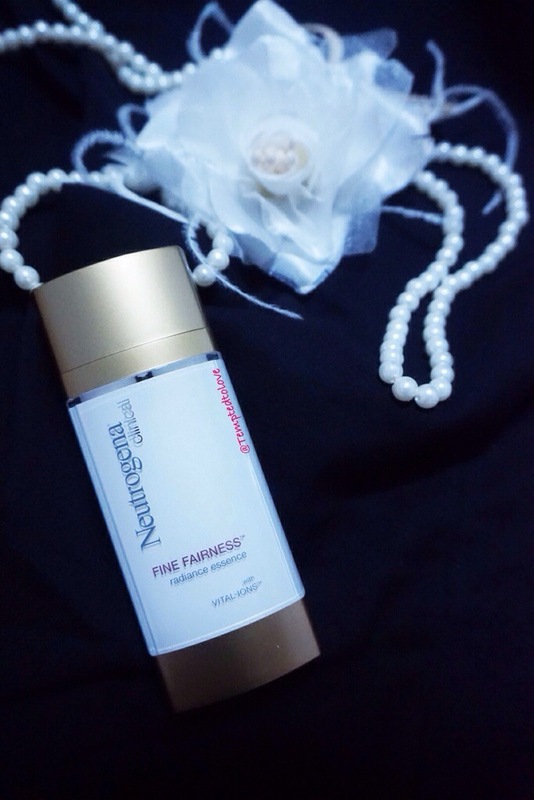 This affects skin’s natural function of expelling melanin and it starts to accumulate within skin – dark spots appear and skin tone becomes uneven, taking away skin’s natural radiance. When I was contacted few days back to do this product review, I agreed without second thought! I saw the advertisement on TV, at Watson’s, in Magazines, they all look so promising!! 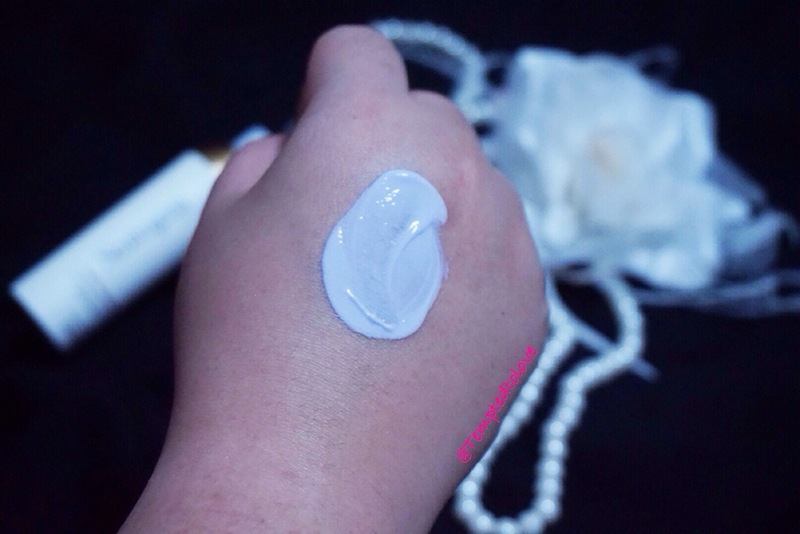 I’ve tried a few whitening products but very often will stop using them after some time.. Why? Because most of them are either too drying for my skin or too much damage to my wallet. 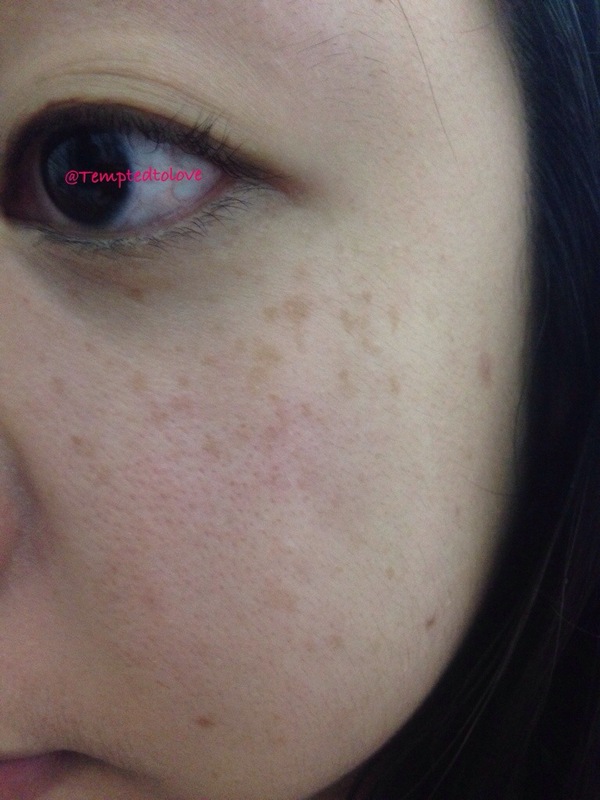 Some don’t even shows result.. T_T I have combination skin type hence finding a suitable product is very important! It must be effective yet will not cause (too much) dehydration! Not forgetting that it must be wallet-friendly too!! LOL…! Without further ado *excited*, let’s start talking about the products!! 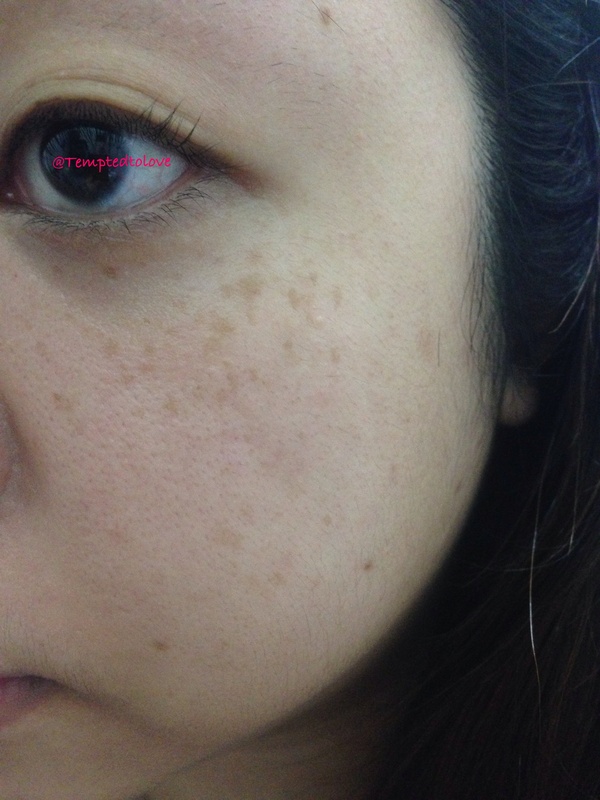 Clinically proven to lighten even the most persistent spots with visible results achieved in just three weeks, its special formulation of clinical strength whitening ingredients contains VITAL-IONS and Lily Nectar, which breaks down melanin accumulation and diminishes the appearance of pigmentation and dark spots. Its hydrating and soothing formula works deep within the different layers of epidermal skin to revitalise skin’s renewal process and help prevent new melanin from forming, enhancing skin tone and clarity. 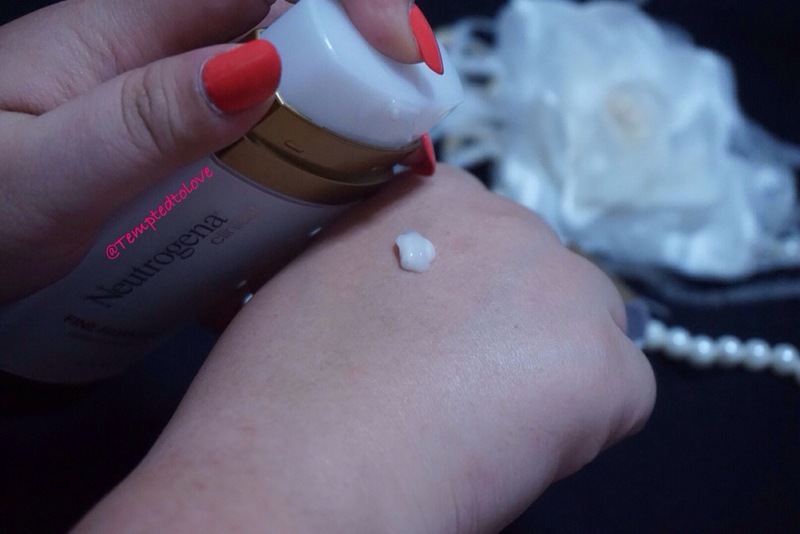 effective in erasing a year of accumulated melanin with just one bottle, lightened even the most persistent spots. Apply to skin after cleansing, before moisturiser. I like the classic white and gold (they claimed it’s bronze..) combination but color combination isn’t a factor I consider when buying/trying a product. It will probably only affect where I place them after I bought them home.. LOL! Anyway, that’s beside the point! 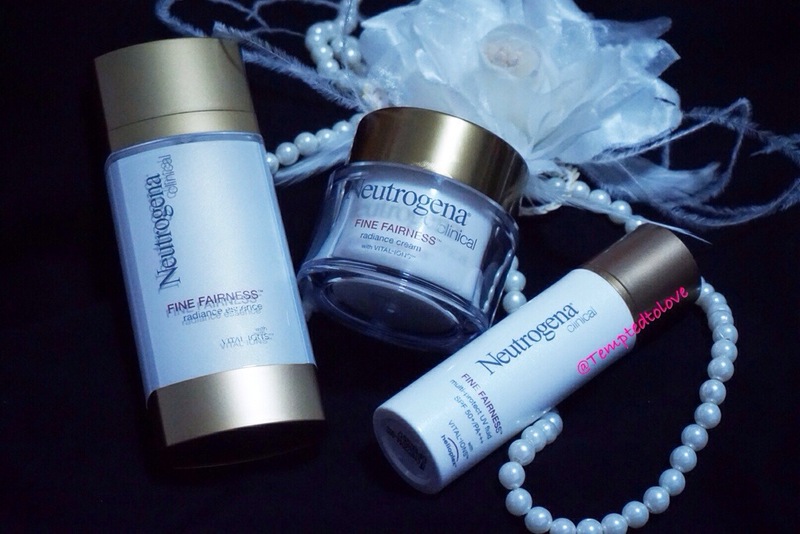 I think this range looks pretty much like a higher range product among Neutrogena skincare line. FYI, these are not glass bottle so no worries if you are gonna break them or too heavy to bring around/travel! When you open the cap, you will see that it’s a pump bottle with two nozzle. This isn’t something new in the market so nothing too hoo-ha about it..
For its packaging, I think it’s pretty nice. The only thing about it is that it would be better if I can tell how much essence left in the bottle (IMO)..
Now that you’ve seen the packaging, let me share with you more about what I thought of the essence..
Now you see the purpose of the 2 nozzle?? Yes, it’s to ooze two different type of essence at once (it’s a double chamber pump). Can’t see? Here’s a better image! See the two difference in color? 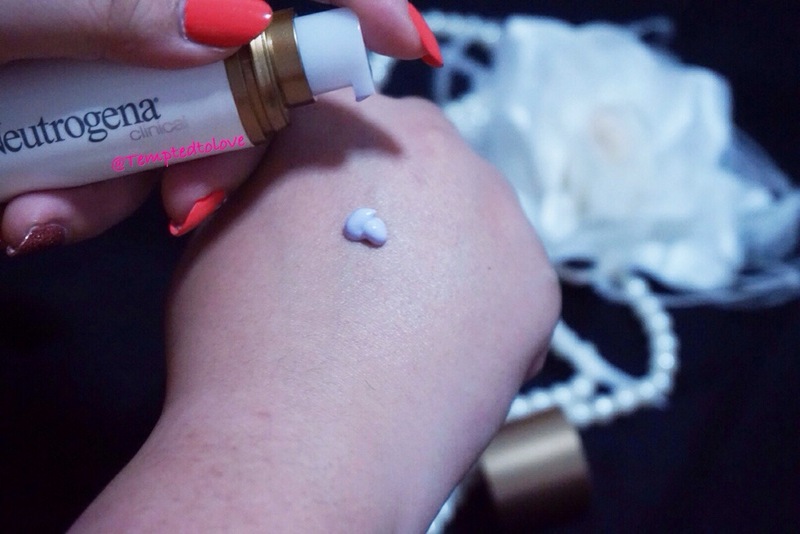 All u have to do is just use ur finger and gently blend & apply them onto ur pretty face! Side track abit.. I used to not like neutrogena product because donkey years ago (before I had my freckles nightmare and I do mean donkey yearsss ago because I can’t even remember when!!) I ever tried their basic skincare range and I was like OMG~ it’s too oily for me and I got so phobia of it until this new clinical solution that “promise” 1 bottle tackles 1 year stubborn spots!! Every woman has their weakness! WAHAHAHA!! 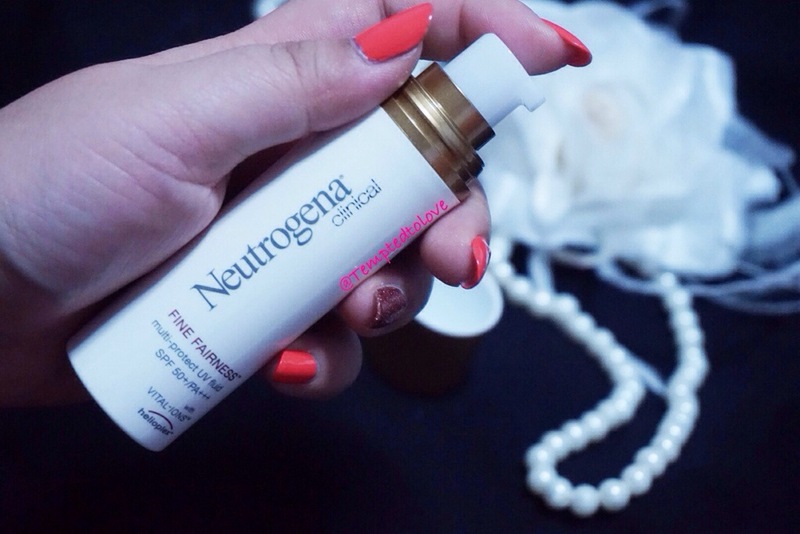 I must admit after using this essence, it did changes my impression of “oily” neutrogena! 😀 I kinda like how this essence feels on my face and I can’t wait to finish one bottle!!! A luxurious non-oily moisturising formula infused with VITAL-IONSTM and Lily Nectar, it aids deep skin renewal at night, helping to make skin look brighter, fairer and more radiant. Its clinical strength formulation works to reduce melanin production and improves skin tone and clarity, while at the same time providing sufficient hydration for dewy soft, smooth and moisturised skin with youthful luminosity. 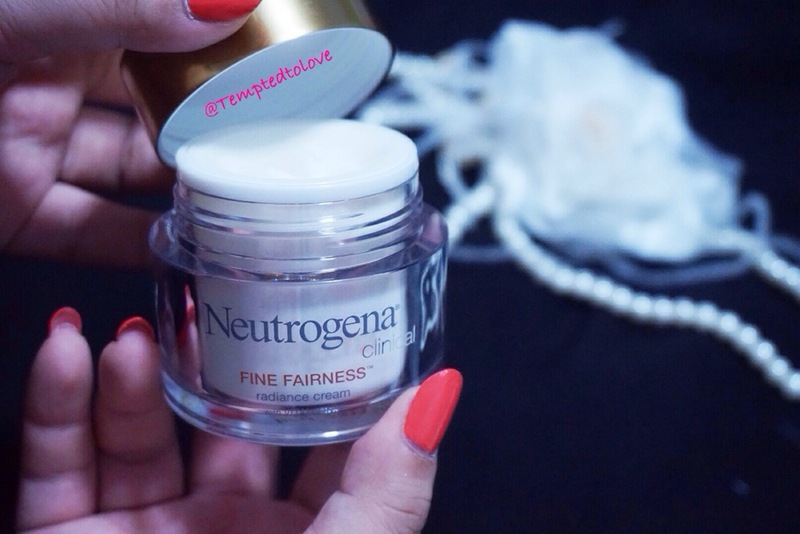 Spread a small amount evenly on face and neck every night every night after Neutrogena Clinical Fine Fairness Radiance Essence. FYI, this amount is too much to apply regularly! I used this much is just to show you the product clearly.. Although it’s stated that it’s a “non-oily moisturizer”, I feels that this is still a lil too oily for my liking. It’s not as light weight as compare to the moisturizer I’m using now but probably because it’s not a gel-type. 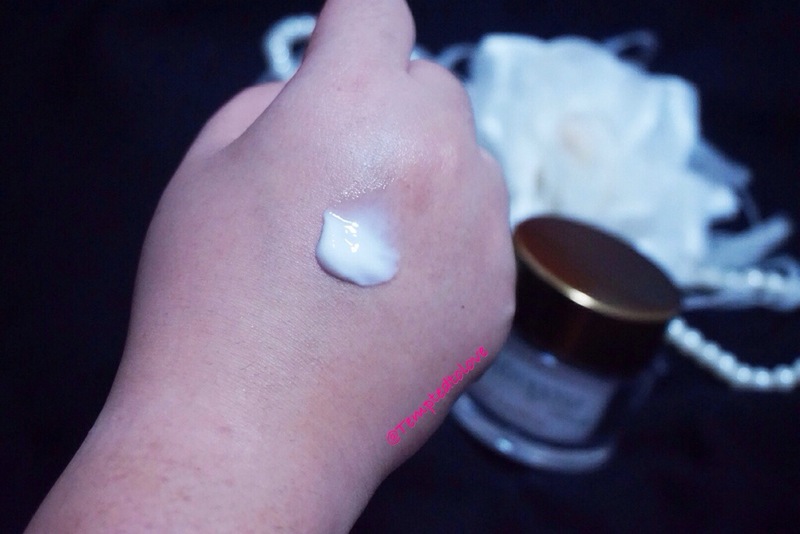 Cream base moisturizer tends to be slightly “oily”..
Third item that comes together with this review is something every girl/woman/lady out there needs! A SUN BLOCK!!! Please, this is a very very important thing to start if you don’t want to see pigmentation/freckles/spots!!! strength whitening ingredients of VITAL-IONSTM and Lily Nectar, it serves the dual purpose of broad-spectrum protection from harmful UVA/UVB rays and cell revitalisation for renewed radiance. HelioplexTM has been clinically proven to deliver one of the best forms of protection under extreme sun conditions, shielding skin against cellular damage and premature aging that cause fine lines, sagging skin, wrinkles and dark spots. Sorry if you can’t “visualise” the purple-ness (more or lilac? go google it) of it.. I just have to figure out my camera setting before my next post!! Nonetheless, I can show you the power of this Multi-Protect UV Fluid! I only applied the product on half of my face and I can see that it has even out my skin tone and also skin looks healthier! 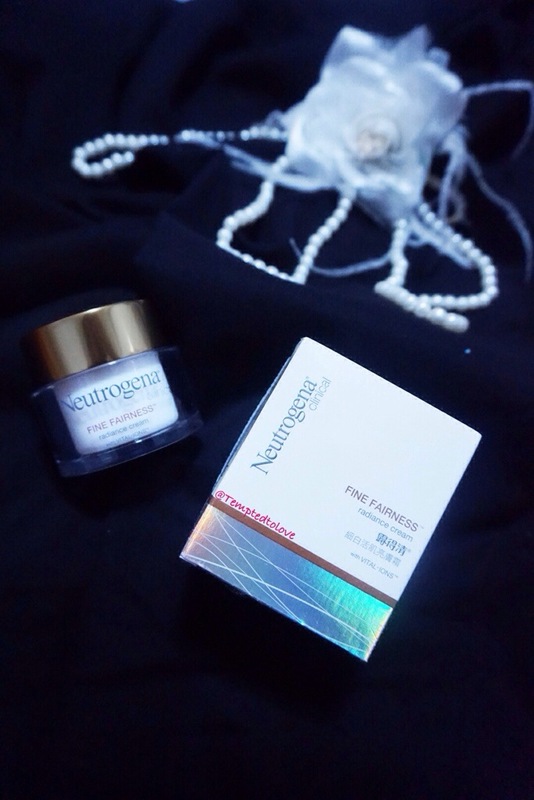 Overall, I think this product is really worth a try, especially the essence!! I haven’t showed you my result right?? LOL..
I’m happy hearing this because he isn’t aware I’m currently using Neutrogena Fine Fairness products!! 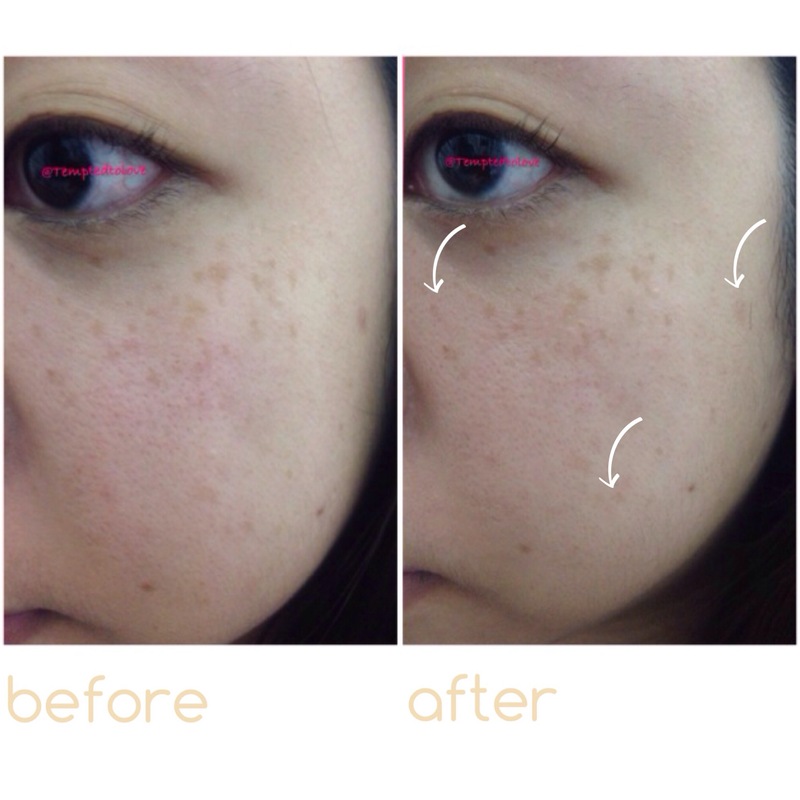 This shows that this product is really shows result! Now I’m looking fwd to finish the whole bottle! You see the lighten spots??? *happy* I’ll definitely recommend this to those who face freckles problem like me!!! 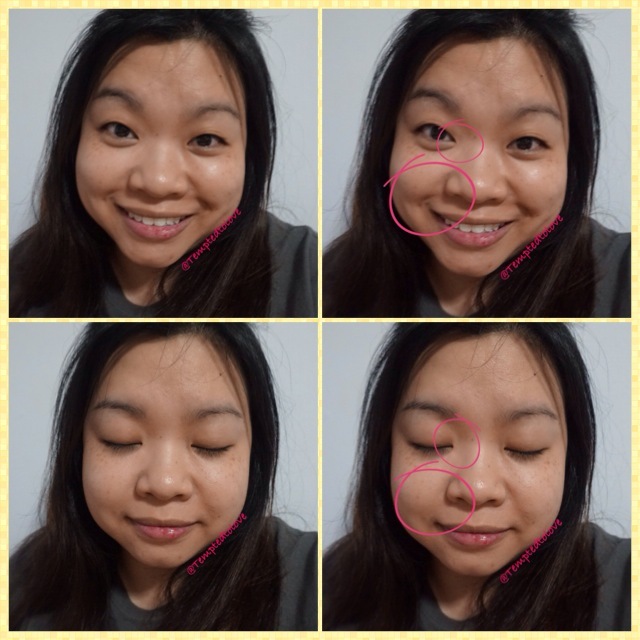 This entry was posted in .Care for Skin, .Cosmetics/Makeup, Neutrogena, Sponsored Review and tagged face essence, face moisturizer, sun block, The Sample Store by Tempted to Love. Bookmark the permalink.